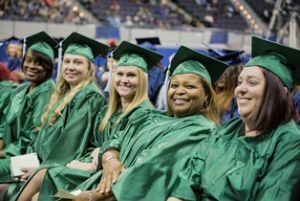 More than 1,100 students will fulfill lifelong dreams as Pensacola State College, Collegiate High School and the Adult Education Program hold commencement exercises and pinning ceremonies this week. 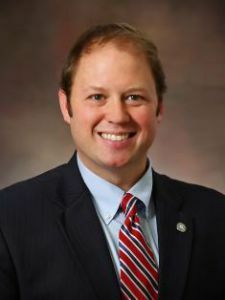 Rep. Jayer Williamson will be the keynote speaker for Pensacola State’s graduation set for 3 p.m. Sunday, May 6, at the Pensacola Bay Center. More than 800 students are slated to receive associate and bachelor’s degrees along with certificates at the ceremony. Elected to Florida House of Representatives in 2016, Williamson represents District 3 which serves Santa Rosa and Okaloosa counties. A Pensacola native, Williamson earned his bachelor’s degree from the University of West Florida. He and his wife, Linsey, have two children, Brooks and Rylin. Collegiate High School and Adult Education joint graduation is scheduled for 6 p.m. Thursday, May 3, in Hartsell Arena at the Lou Ross Center on the Pensacola campus. Elizabeth “L” Buchanan, Pensacola State’s newly-elected 2018-19 Student Government Association president, will address the 95 Collegiate High and 12 Adult Education Program graduates. A Maryland native, Buchanan moved to Pensacola in 2014 and obtained her GED at age 21. She is majoring in business administration and hopes to pursue a career in biotechnology and bioprocess engineering. She also plans to enlist in the U.S. Navy so she can continue to serve all walks of life on a larger scale. Carlton Ulmer, president and CEO of West Florida Hospital, will speak during the college’s Department of Nursing and Emergency Medical Services pinning ceremonies to be held at 3 p.m. Thursday, May 3, in Hartsell Arena at the Lou Ross Center. Forty associate degree graduates will be pinned at the event. Ulmer has worked in healthcare administration for more than 20 years including serving as CEO of Gulf Coast Regional Medical Center in Panama City, and as chief operating officer at Redmond Regional Medical Center in Rome, Georgia. 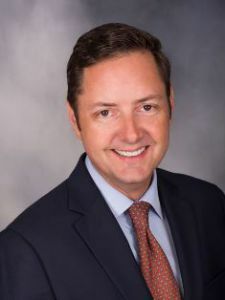 He also was chief operating officer at Parkridge Medical Center in Chattanooga, Tennessee, and held several administrative positions at Tulane University and Clinic in New Orleans. The Pensacola Bay Center doors will open at 1:30 p.m. Sunday for Pensacola State’s graduation. To participate in commencement, graduates must be attired in full academic regalia. Caps and gowns are still available in all campus bookstores. During the ceremony, tassels should be worn on the right side until the graduate receives their degree, diploma or certificate – then it is moved to the left. Graduates are urged to dress professionally. Women should wear business attire and men should wear a dress shirt and tie with trousers. Flip-flops or beach sandals should not be worn. For more information on caps and gowns, call the Pensacola campus bookstore at 850-484-1515. Pensacola State College’s spring graduation is set for 3 p.m. Sunday, May 6, at Pensacola Bay Center.